My XR has done 11,000 miles. I ride her pretty hard. 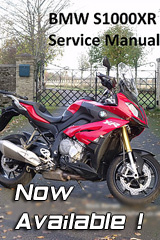 Had my chain adjusted by BMW on the service at 10,000 (I collected it as a demonstrator that had done 4,000 and they serviced it before collection) A week later it was slack again after a couple of hundred miles so they tightened it again. 600 miles later it's really slack again. What's your experience? Should this be happening at 11,000 miles? I'm at 3,000 [US] miles now (that's about 4,800KM to you people who live under the protection of Her Majesty, a parliament, or some inbred prince with twisty arms). I've checked the chain every time I've changed oil, and to-date it hasn't slacked. Experiences like yours, though, frighten me a bit. Is it possible that the axle nut is not properly tightened? The adjustment bolts not properly locked? I just have nightmarish visions of your rear-wheel falling out of the swing arm! Its never been the same since the Boston Tea Party. No wonder we let them have the place full of uneducated heathens, fancy chucking the tea over the side rather than drink it. Hmmm when on the Peage down to Bordeaux couple of weeks ago not sure if it was the heat or other but I had to stop and put a bit of slack in the chain as it was a touchy vibey and it did make a difference and yet running down to Portsmouth the day before it was fine. Seriously? Oh, man, something in common. I may begin to like you guys. Have 10,000km on mine and only adjusted it once before fitting the 42 tooth sprocket on it,...has been fine since. Chain is always well lubed using my "home-made" oiler system. don't trust them Brau. They use these weird "Imperial" gallons as well.. Next thing you know they'll have you calling your rubber tYres!! Did you HAVE to go there!?! ?